In 2013 has been built sailing boat Sun Odyssey 469 called ARCHIMEDES. She is available from marina Kos in surrounding area of Kos And Rhodes in Greece. You can accommodate up to 10 passengers on the boat ARCHIMEDES. Layout of berths is 10. There are 4 bedrooms placed below yacht's deck. ARCHIMEDES is equipped with 4 heads. Find other yachts clicking here: Yacht charter Kos And Rhodes. Diesel tank is 240 l l. capacious , water tank has up to 615 l l. In this vessel is installed engine Yanmar 54 HP. 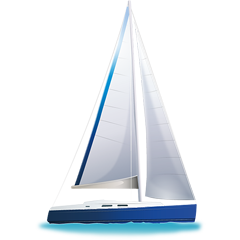 With 14.05 m of lenght overall and 4.49 m of width ARCHIMEDES provides enough space for comfortable sailing. Deposit is 2500.00 EUR. Look for different yachts by navigating to the section Yacht charter Kos.